Reading rooms are open from Monday to Saturday, from 9.00 to 20.00 (18.30 on saturdays for the Pharmacy Pole)(communication of documents stops at 19.40). 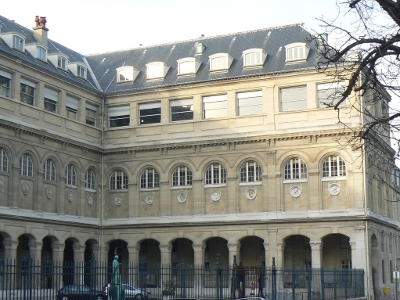 Health History Department, at 12, rue de l’École-de-Médecine, is open Monday-Friday from 13.00 to 18.30. Before 13.00, documentation is consulted on-site in the main reading room. Documents before 1800, documents in storerooms, manuscripts and documents on poor condition must be used on department premises. 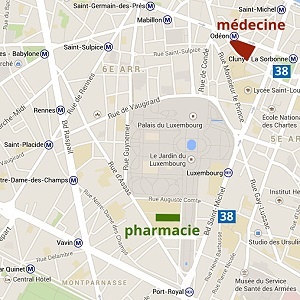 Health History Department, at 4, avenue de l’Observatoire, is open Monday-Friday from 9.00 to 19.00. Documents before 1800, documents in storerooms, manuscripts and documents on poor condition are communicated at the information desk on demand with the agreement of the person on charge of the reading room. Annex room Fialon (4, avenue de l’Observatoire) is open Monday-Friday from 9.00 to 18.00. It is reserved in priority for the students of the Faculty of Pharmacy. Summer 2019 : To be determined. Christmas 2019 : To be determined. Access reserved for graduate (3rd year) and postgraduate students, researchers in the medical and paramedical fields and all health professionals. Other readers on argued demand or documents supporting the research. 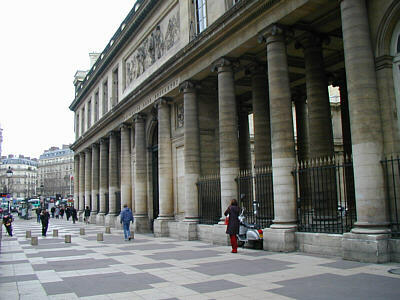 Access reserved for students, lecturers and researchers of the Paris Descartes University and of the Faculty of Pharmacy of the Paris-Sud 11 University. Supporting documents to be submitted : student card (and certificate of school attendance), ID card with photo, professional card or pay slip. For private organisations, registration fee is 250 euros (valid in medicine and pharmacy, 5 employees max.). On Saturdays, supporting documents are necessary to access the Pharmacy Pole (student or reader card, professional card or special authorisation delivered by the library). See our Accessibility page for disabled people.